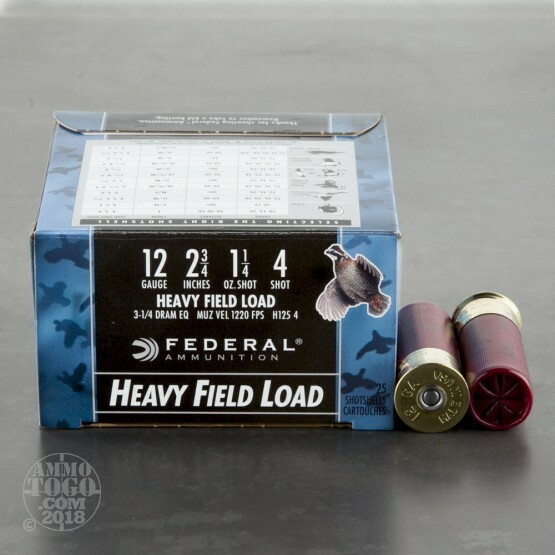 These heavy field loads from Federal are excellent for taking down turkeys or stocking the freezer with several pounds of pheasant, squirrel, and quail meat. 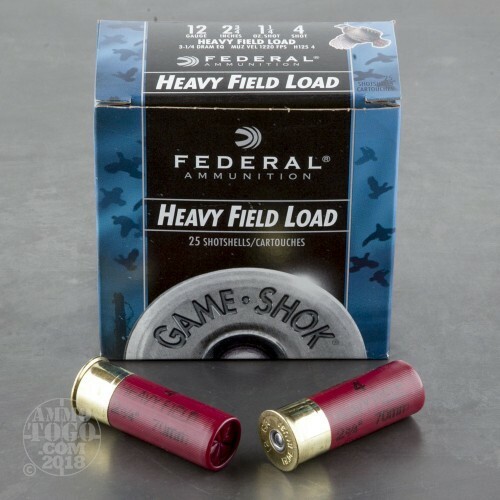 The Game-Shok line of ammunition aims to arm hunters with effective hunting solutions at reasonable prices like these 12 gauge shotshells. Each of these rounds is built using a moisture resistant hull, powder that will ignite consistently in extreme temperatures, and a non-corrosive 209 primer that won't leave substances behind in your favorite scatter-gun. With 1-1/4 of #4 shot in front of a high-brass charge, expect pellets to pattern excellently and hit hard for instant drops of upland bird and small game. 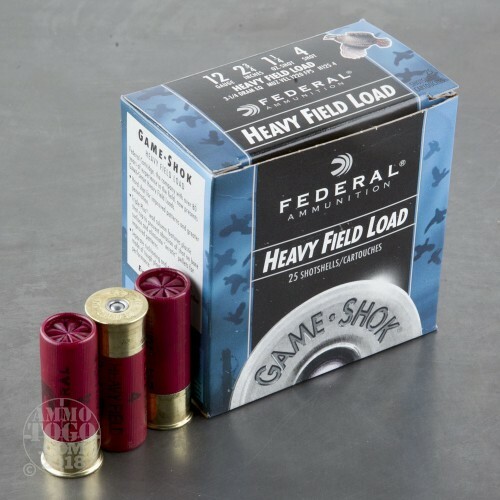 A 2-3/4" shell length maintains compatibility with the widest range of 12 gauge shotguns while a nice curve forward of the star crimp makes for smoother loading. 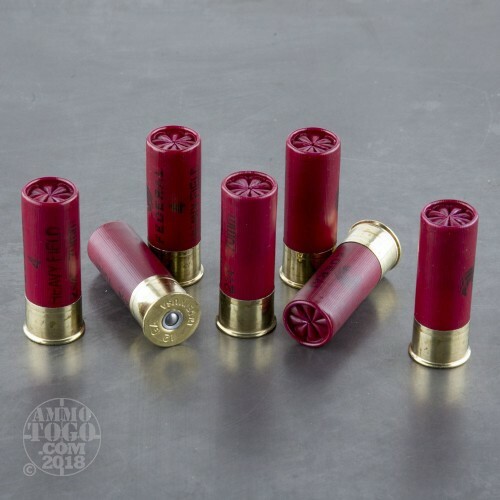 Federal ammunition is U.S. made and is constantly improved using input from hunters, competitors, law enforcement, and private citizens who all make up the great American shooting tradition.